Lee Jong Suk and Lee Na Young are ready to bring a sweet romance to viewers with their new tvN weekend drama “Romance is a Bonus Book”! 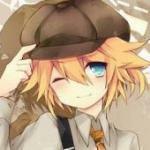 “Romance is a Bonus Book” will be a romantic comedy set in a publishing company. It will tell the story of Kang Dan Yi (Lee Na Young), who was once one of the greatest copywriters but is now struggling to find work, and Cha Eun Ho (Lee Jong Suk), a star writer and an idol of the literature world. The drama aims to bring the laughs and warm viewers’s hearts as it weaves a complicated, realistic, and relatable story of people who live to make books. The teasers show the two lead characters and how they’ve captivated each other. 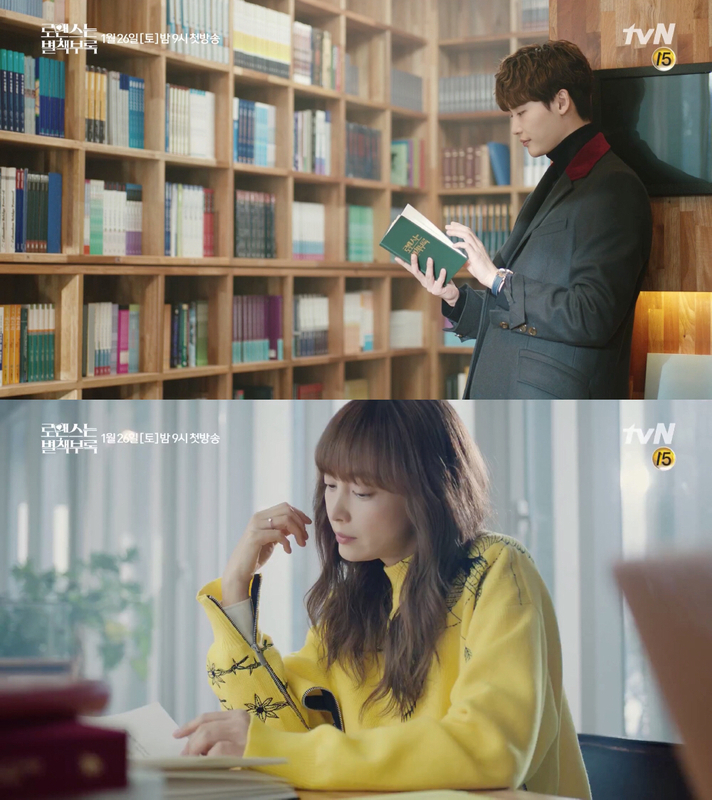 In Lee Na Young’s teaser, she turns to a page in her book that reads, “If there was a day I would want to turn back time and go back to, it would be that moment.” She smiles as she catches Lee Jong Suk’s silhouette behind a bookcase. 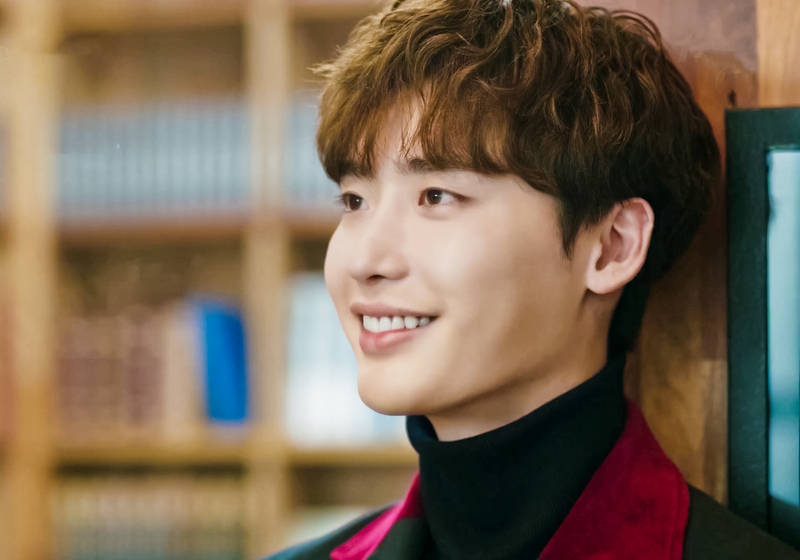 Meanwhile, Lee Jong Suk is leaning against a bookcase when he turns the page of his book and it reads, “The reason I stopped believing in love was Kang Dan Yi.” His eyes sparkle like he realized something, and he smiles warmly as he looks up, seeing Lee Na Young in the distance. With the pair trying to carefully read each other’s emotions like a book, viewers are excited to see how their tagline of “And so, our new chapter began,” will play out. “Romance is a Bonus Book” will premiere on tvN on January 26 at 9 p.m. KST. A new poster for tvN’s upcoming drama “Romance is a Bonus Book” has been revealed! “Romance is a Bonus Book” is a romantic comedy that tells the story of those who create books at a publishing company. The main plot will revolve around Kang Dan Yi (Lee Na Young), who was once one of the greatest copywriters but currently struggles to find work, and Cha Eun Ho (Lee Jong Suk), a star writer and an idol of the literature world. With the help of these two, the drama hopes to both bring laughs and warm viewers’ hearts by telling a complicated but realistic story of people who make books. The new poster features Lee Na Young and Lee Jong Suk in a sweet embrace. The tagline on the poster reads, “That’s how the new chapter of their lives has begun,” increasing curiosity among prospective viewers on how the relationship between the two will begin in the drama. tvN has revealed the main poster for the upcoming drama. 'Romance Is a Bonus Book' is a new romance drama featuring Lee Jong Suk and Lee Na Young. After the final air of 'Memories of the Alhambra', this fresh rom-com series will take over tvN's Fri-Sat evening hours. If you missed our previous post, check out the teaser video here, along with a few additional posters! The poster for Korean actor Lee Jong Suk and actress Lee Nayoung's upcoming romantic comedy drama has been revealed. On January 8, the production team of tvN's upcoming drama 'Romance Is a Bonus Book' revealed the sweetest poster featuring the two leads―Lee Jong Suk and Lee Nayoung. In the poster, Lee Na Young romantically hugs Lee Jong Suk from the back. 'Romance Is a Bonus Book' is about a story of people working at a publishing company 'Gyeoru'. Lee Jong Suk will play the role of 'Cha Eun-ho', who is a popular author and also the youngest managing editor at 'Gyeoru'. Lee Nayoung's character 'Kang Dan-e' used to be a leading copywriter, but has become 'useless' after taking a break from her career for a while. After starting to work together, a romance will unexpectedly bloom between 'Cha Eun-ho' and 'Kang Dan-e'. 'Romance Is a Bonus Book' is one of the dramas that is highly anticipated by the public, because it will be Lee Jong Suk's first time starring in a romantic comedy drama since debut. It is also Lee Nayoung's first small screen comeback in nine years. The first episode of 'Romance Is a Bonus Book' is scheduled to be broadcast on January 26.
tvN’s upcoming drama “Romance is a Bonus Book” has unveiled its first stills of stars Lee Na Young and Lee Jong Suk together as a couple! “Romance is a Bonus Book” is a new romantic comedy starring Lee Na Young as Kang Dani, a former copywriter who once enjoyed a flourishing career but who is now down on her luck and struggling to find work. Lee Jong Suk will play the role of Cha Eun Ho, a brilliant and famous writer who is also the editor-in-chief of the publishing company where Kang Dani finally manages to find a job. On January 10, the drama released new stills of its leads Kang Dani and Cha Eun Ho from both the past and the present. Two of the photos reveal the characters’ past as close friends, with Kang Dani and Cha Eun Ho looking completely comfortable with one another as they enjoy the night air and look out into the distance. Another photo shows the two characters holding hands as they take a nighttime stroll. Finally, a third photo shows the two leads reunited in the present, with the chemistry between them still palpable as they gaze affectionately into each other’s eyes. “Romance is a Bonus Book” will air on January 26 at 9 p.m. KST. In the meantime, check out the teasers for the drama here! Subtitle by JShine Lee Jong-Suk Fanclub . Pls give a credit when reposting.